Welcome to Columbia and Central South Carolina’s headquarters for laser skin rejuvenation and skin care procedures that will help you look and feel your best. 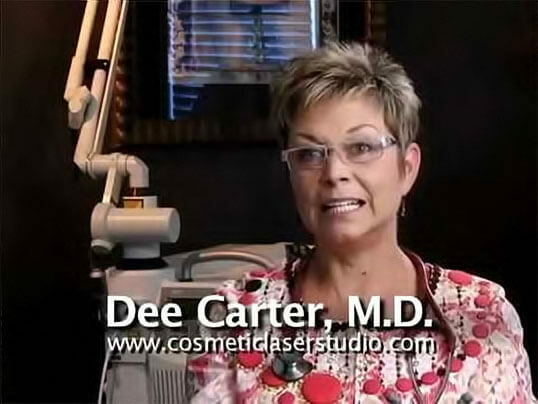 The Cosmetic Laser Studio is the home of recognized skin care expert, Dr. Dee Carter. Located in a private, relaxed setting, the Cosmetic Laser Studio offers a wide range of therapies to improve the look and health of your skin. Dr. Carter worked in the field of electrical engineering for eight years after graduating from Clemson University in 1983. She later attended the University of South Carolina School of Medicine and completed an internship and residency program in Family Medicine at Palmetto Richland Memorial Hospital in Columbia, SC. Her interest in Aesthetic Medicine began during dermatology training in residency. She has since trained in Minneapolis, Miami, San Francisco, Richmond, Virginia, and Fort Lauderdale, FL. Dr. Carter lives in Lexington with her husband and Yorkshire terrior, Scooter. Their son and daughter-in-law live in Augusta, Georgia.